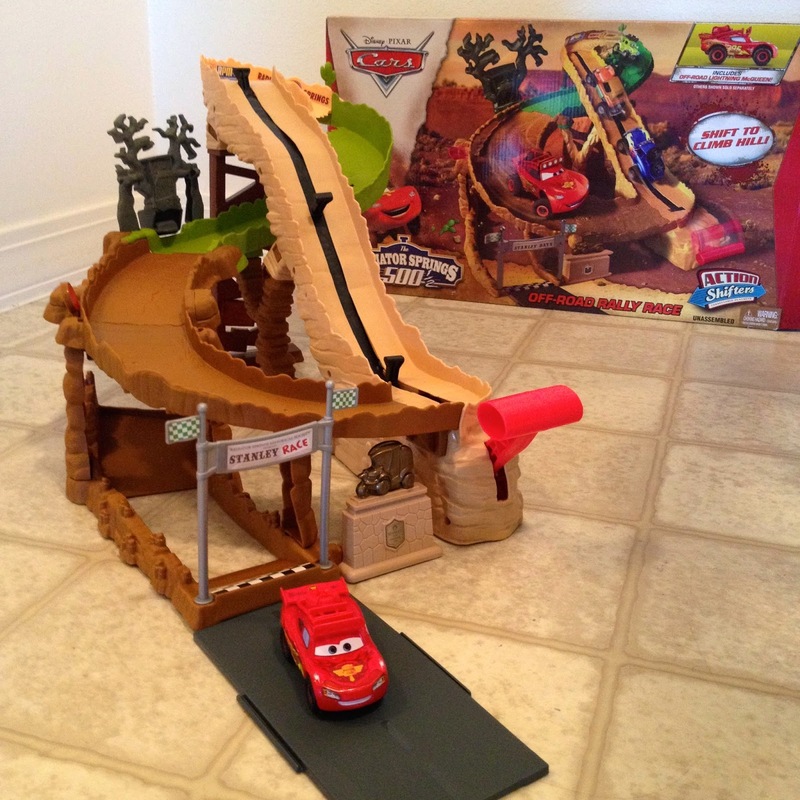 ...But what collection of Cars diecasts is complete without a play/track set? Exactly. 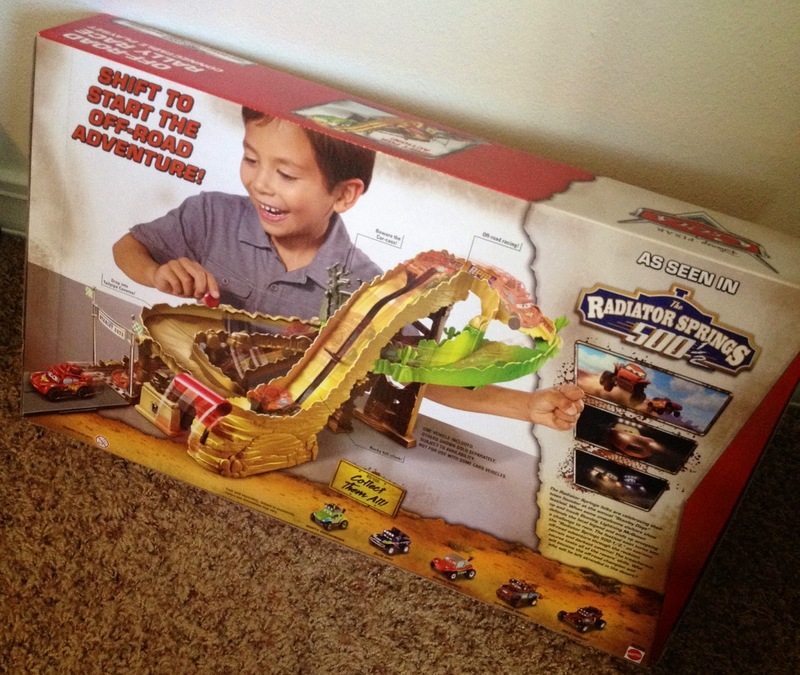 To go along with the release of these new vehicles, Mattel also released this fantastic "Off-Road Rally Race" set based on key moments from the short film! 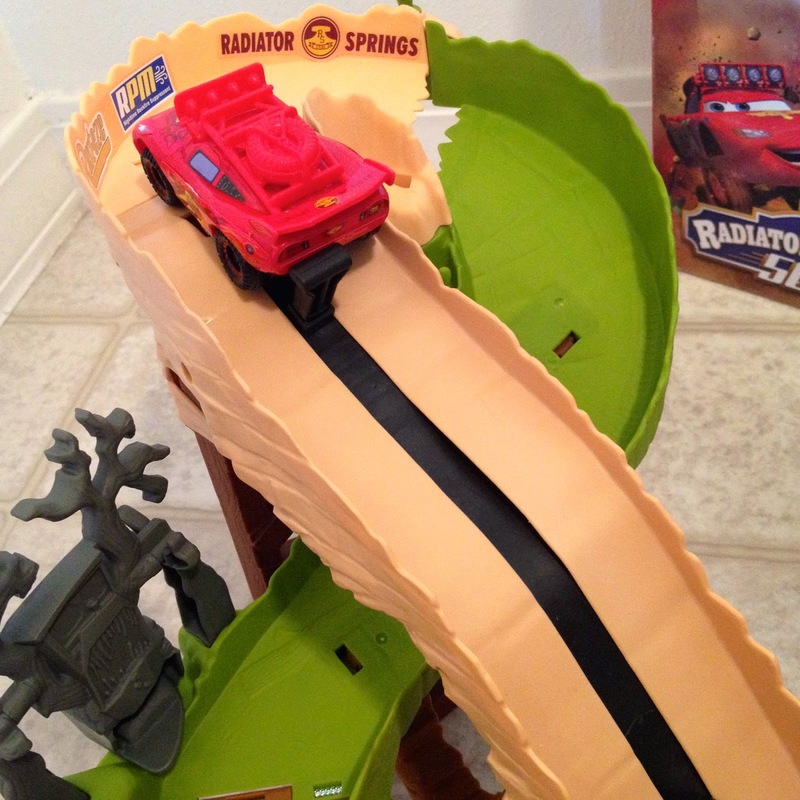 If you've seen the film, you'll recognize that each of the "detours" that the racers go through in the film are represented here including: The "rolling hills", the "cool pool of tranquility (which is represented by just that one piece of green track), the "Enchanted Forest" and the "Tailpipe Caverns" If you know me, you know I'm a big sucker for playsets and other accessories that can be used to create and play out scenes from some of my favorites movies. 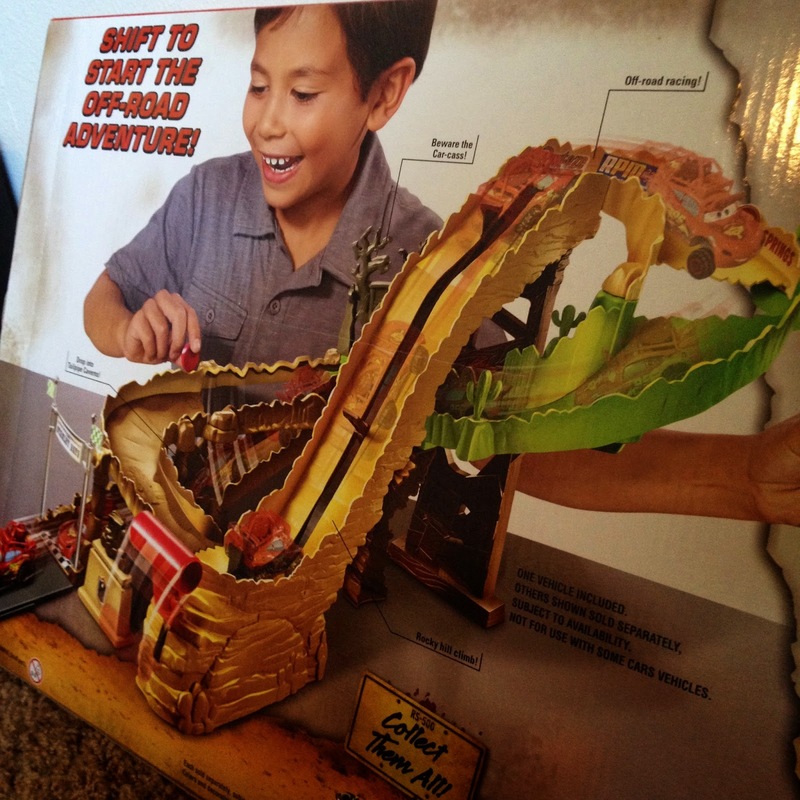 When I saw this was being released, it was absolutely no exception. 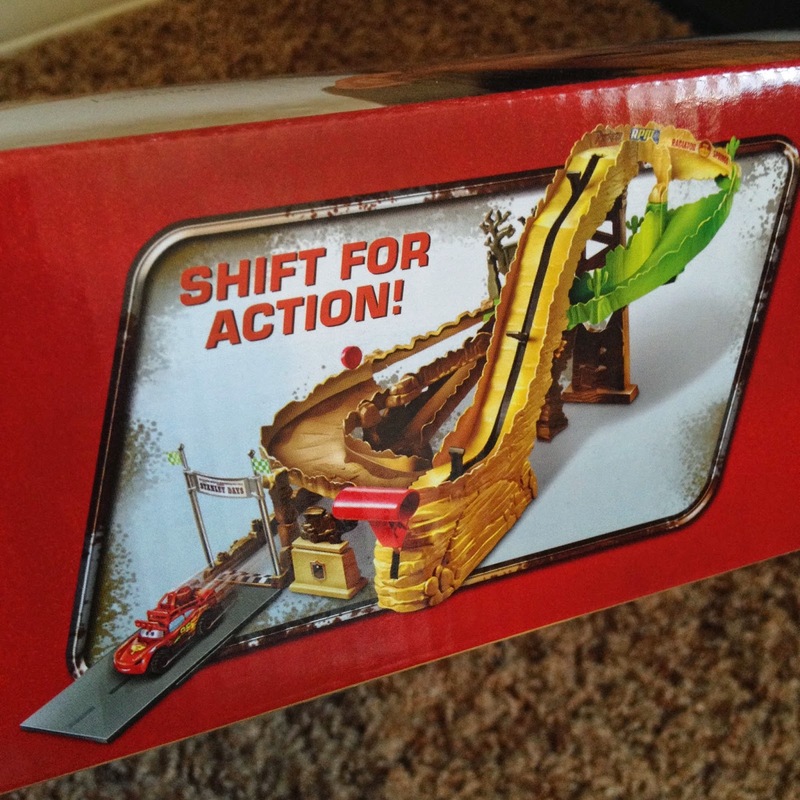 This is part of Mattel's "Action Shifters Connectible Playsets" line and, like it says, can connect with the other playsets found in this collection. 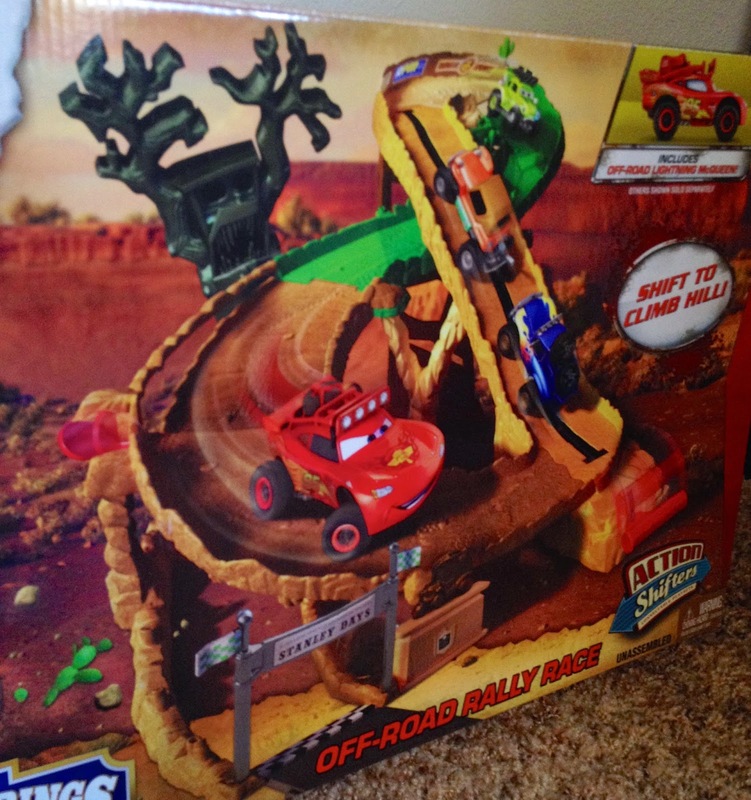 This one includes one plastic off-road Lightning Mcqueen and sells for about $34.99. 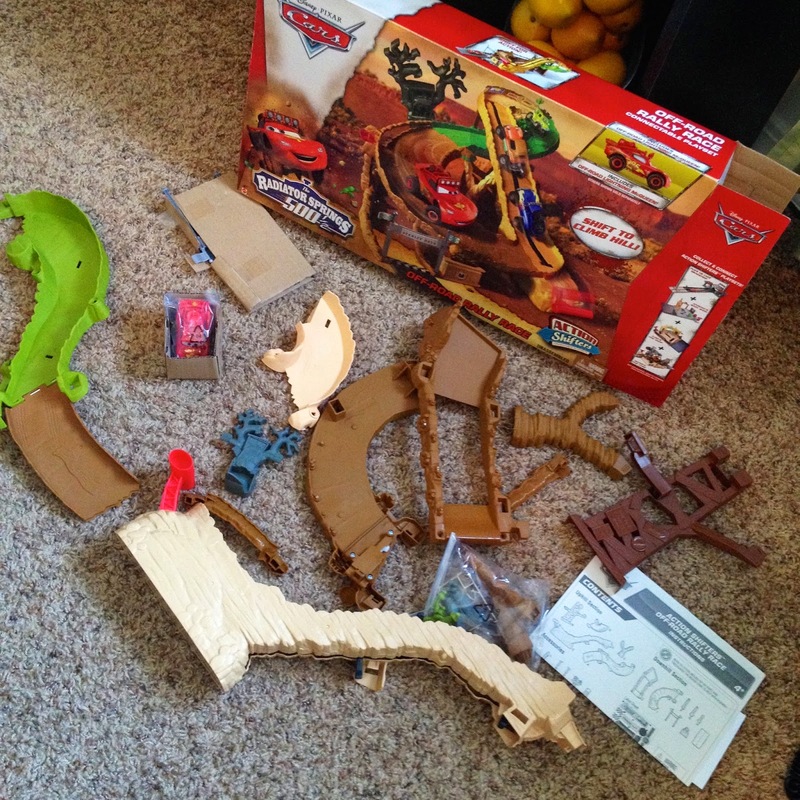 This playset of course comes unassembled. 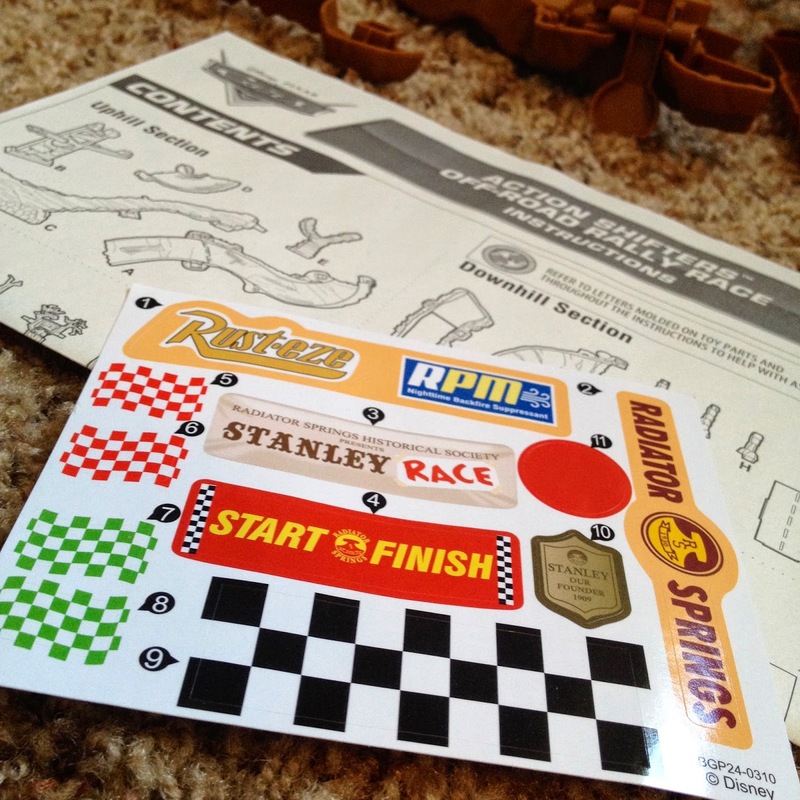 In addition to the included Mcqueen and playset parts, it also includes a sheet of 11 stickers/decals and took about 15 minutes to put together. 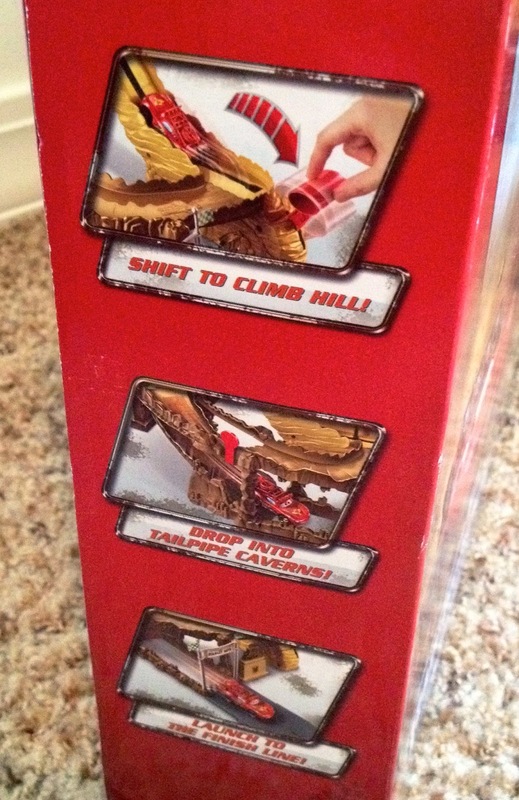 How this track works: Start by putting up to three cars on the "rocky hill climb" then push down (or "shift") the red handle repeatedly to simulate the cars going up this rough terrain. 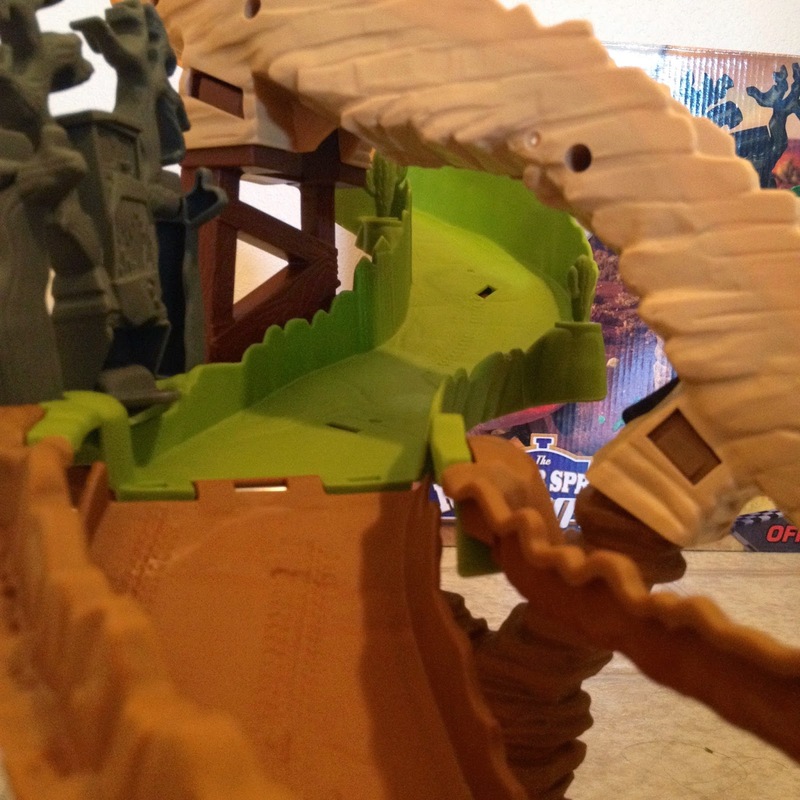 As they come down the track, they'll bump into the scary tree/"car-cass", which will cause it to shake back and forth as if it were haunted (based on the "car graveyard" or "enchanted forest" scene in the film). 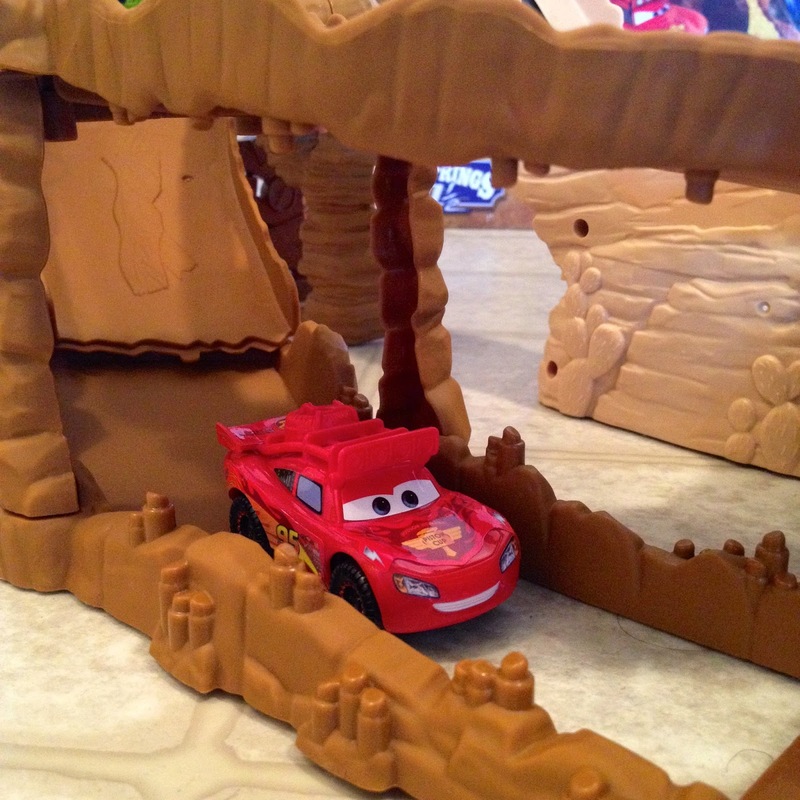 The cars will roll right back to the start position and you can continue to shift them up the hill over and over. Want to mix things up a little? Tired of going in circles? No problem! 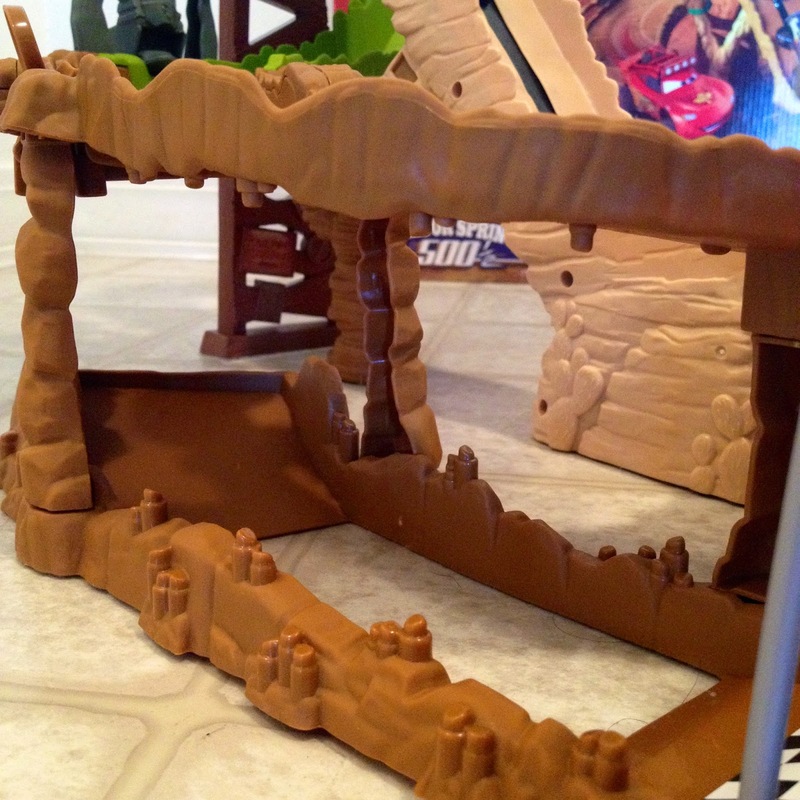 You can always take a trip through the "Tailpipe Caverns." 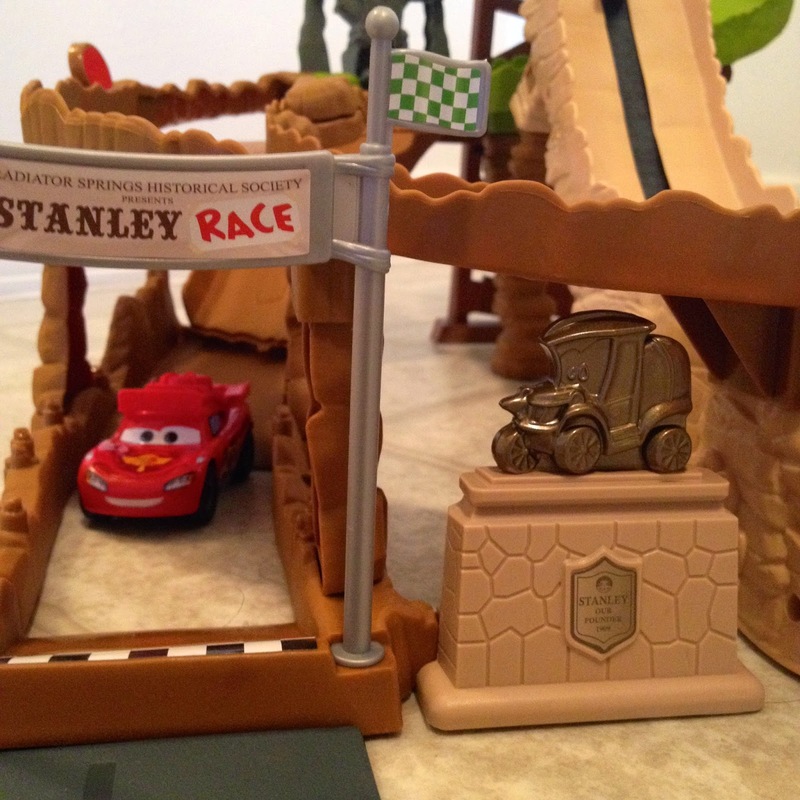 All you have to do is press the red button to the side of the track and the track will open to reveal a secret tunnel through the caverns, straight to the finish line and past the statue of the town's founder, Stanley. 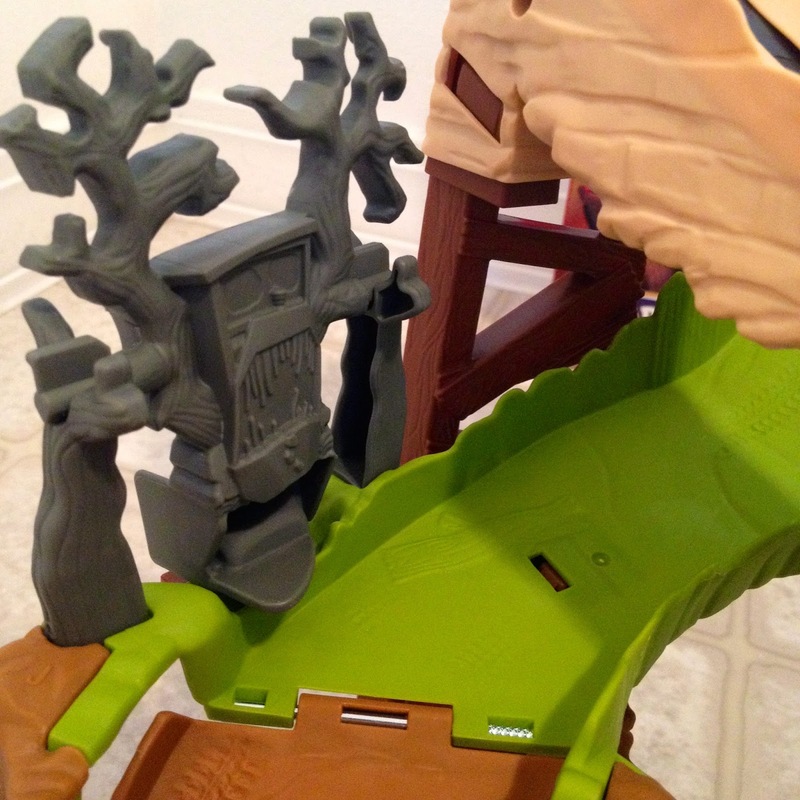 Below I've included a video of this playset in action! 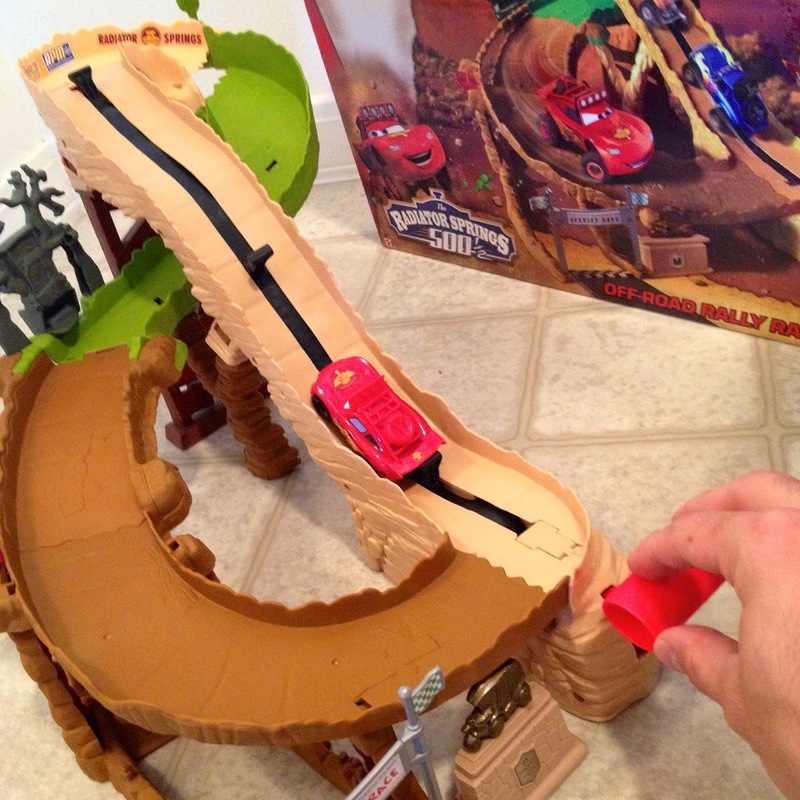 Keep in mind that it's a tad more interesting once you add more cars. 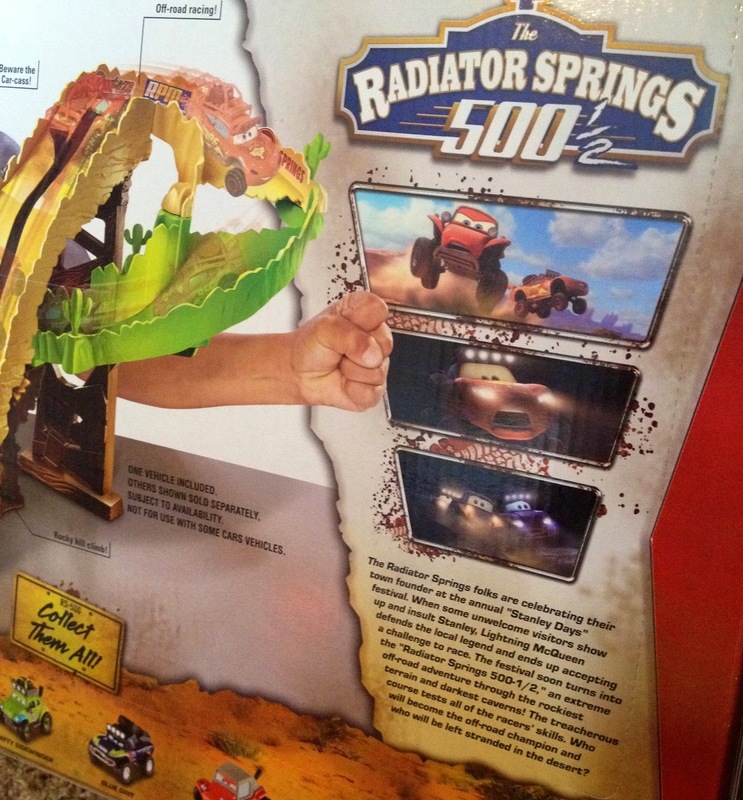 I didn't have any others cars opened and out of the package here, so the video demonstration with just the included plastic Mcqueen will have to do. You'll get the point though! 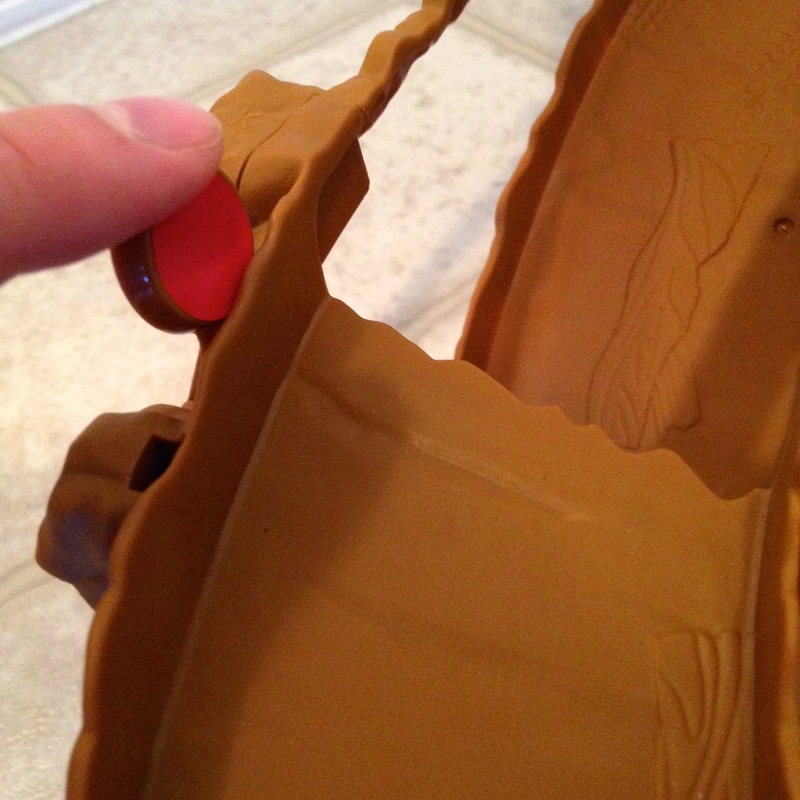 I also assume that the diecast cars work even better, since they have more weight to them. 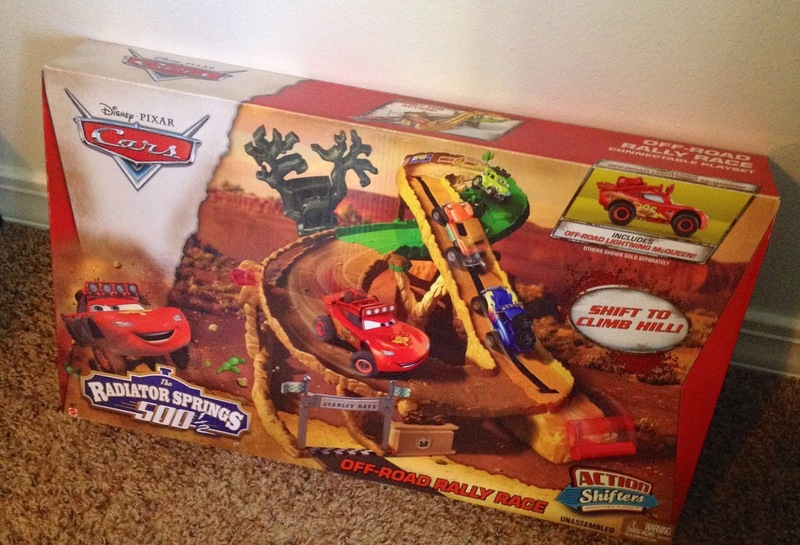 Be sure to check back daily for more from my Pixar collection!